Unpack those Gucci plates and call off the moving trucks! 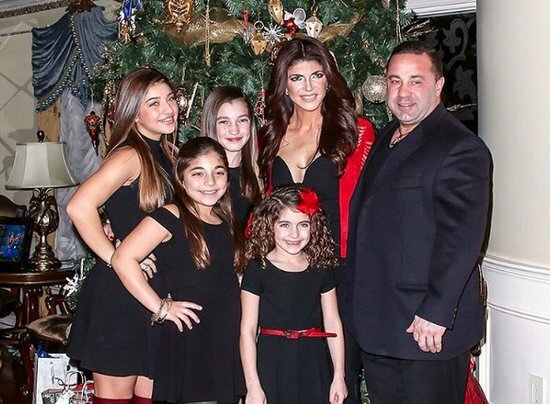 Teresa Giudice has found a way to save her Franklin Lakes mansion from foreclosure! The Real Housewives of New Jersey star is saving us from having to deal with awkward camera angles in a cramped 2 bedroom apartment for season 7! Back in April when the home went into foreclosure, just a few months after she entered prison, Teresa and Joe listed the house for sale – for $3 million. So far there haven’t been any potential takers and it looked like the Giudices would finally be getting the boot from the bank very soon as their attempts to contest it were denied last month. However, they pulled a last minute Hail Mary out of the sky and saved the house! Joe And Teresa Giudice Contest Foreclosure Proceedings On Mansion But Are Denied! Teresa Giudice and Joe Giudice have been battling foreclosure on their “re-done” Montville mansion for years. Their recent last-ditch effort to halt the foreclosure process has been denied! During their bankruptcy proceedings (which led to their federal indictment and imprisonment) Teresa and Joe were allowed to retain possession of the home because they owed more than it was worth. Unfortunately with all their other financial issues the couple couldn’t make the mortgage payments of $10,679 per month and as of December 2014, lapsed into foreclosure. Again. With their house in foreclosure, Teresa and Joe have been trying to sell at $2.99 million with no takers. Apparently no one wants to live in the fraudulently gilded remains of failed delusions of grandeur. Last week the indebted Real Housewives Of New Jersey couple attempted to contest the bank’s foreclosure proceedings, but had their request denied. NJ Housewife Teresa Giudice & Husband File For Bankruptcy, Owe $11 Million! Ah yai yai, another Bravo housewife bites the dust! In somewhat shocking and not so shocking news, the NY Post is reporting today that Teresa Giudice, star of the Real Housewives of New Jersey, has filed for bankruptcy alongside her husband. Even more shocking? Teresa and hubby Joe Giudice owe nearly $11 million dollars, and have their income listed at only $79,000 a year. And it doesn’t end there. Teresa’s home is also in foreclosure, and yes this is the same $1.8 million, 10,500-square-foot home Teresa was shown moving into during the first season. The bank has started the foreclosure proceedings. The NYPost refers to the Giudices as “real-life deadbeats” who “are up to their tanned necks in liens, foreclosures and unpaid bills.” In bankruptcy papers filed in Newark federal court, the Giudices say they owe their creditors an astonishing $10,853,648.04. Teresa and Joe have also defaulted on their $1,280-a-month payment for the family’s luxury black Cadillac Escalade. It gets even worse folks. The banks have also foreclosed on other homes owned by the couple, including a $279,000 four-bedroom Jersey Shore house. The Giudices are said to have had three mortgages on the house and owed $325,000. Also foreclosed on is a $200,000 home in Lincoln Park, NJ, that had four mortgages — and an outstanding debt of $600,000. And despite being shown on their Bravo reality show as spending thousands and thousands of dollars on their kids’ clothing, Teresa and Joe claim to spend just $400 a month on clothes in court papers. And oh yeah, Teresa also owes nearly $20,000 to Bloomingdale’s, Neiman Marcus, Nordstrom. Their credit card debt alone is listed at $104,000. TELL US – ARE YOU SHOCKED? WHAT ARE YOUR THOUGHTS ON TERESA’S MASSIVE DEBTS? Wonder which one of their foreclosed houses that is… But it is nice to know Teresa and hubby Joe will continue to be fine, while the rest of society is forced to incur their irresponsible debt. According to a new report, the Real Housewives of New Jersey star, Teresa Giudice’s home is set to go into foreclosure. The report alleges the bank has started the procedure of foreclosing on her NJ mansion. A legal document is shown detailing the beginning process of a foreclosure. It is dated 10/16/2009. Teresa was shown on the first season of the show moving into her mansion, and spending thousands of dollars furnishing her new home. 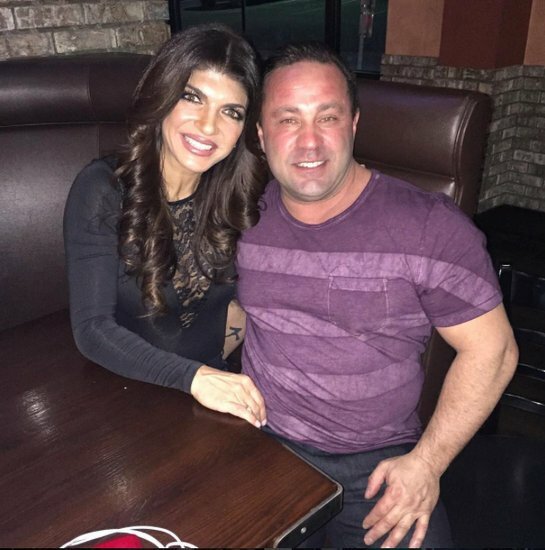 Teresa’s husband, Joe Giudice, also happens to be in the construction business which has been hit hard by the recession. UPDATE: RadarOnline is confirming this is true. The foreclosure papers were indeed filed. UPDATE #2: According to the NJ Star Ledger, the foreclosure is for another property owned by the Giudices, and not for their mansion. Their mansion is still safe, for now at least.